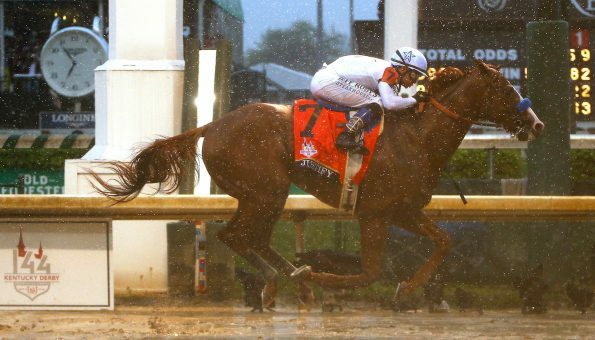 An unidentified woman watched her life change forever when Justify crossed the finish line ahead of the pack during Saturday’s 144th running of the Kentucky Derby. While doing some off-track betting at Retama Park in Selma, Texas, the Austin woman miraculously hit an $18 Pick 5 bet that earned her a whopping $1.2-million. For those who are new to the whole horse gambling thing, a pick 5 bet is won by correctly picking the winner of five different races. In this case, the woman correctly predicted the winners of races eight (Limousine Liberal at 4-1), nine (Maraud at 8-1), ten (Funny Duck at 14-1), and eleven (Yoshida at 10-1) at Churchill Downs. After plucking those four winners, all she needed was Justify to pull through in race 12, and she’d be a millionaire. Of course, we all know how that ended. Winning over a million bucks on such a small wager is almost unheard of, not only in horse gambling but in any type of gambling, period. According to a spokesperson at Retama, it’s the first time it has happened in the park’s history. For the sake of comparison, Justify’s owners earned $1.432-million after their thoroughbred crossed the finish line first on Saturday — just $232,000 more than the lucky bettor from Austin.